Charlie Daniels has given the world two great things. The second is Charlie Daniels Park in Mt Juliet, TN. 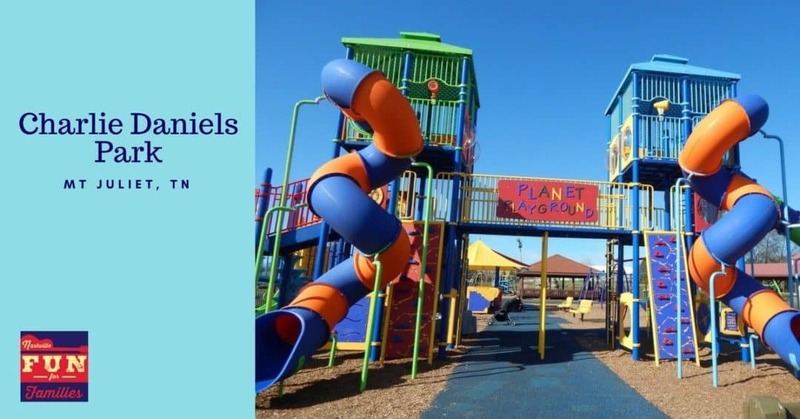 Recently updated during the Winter of 2015, Planet playground offers fun climbing areas and swings for all. It is fenced in but there are several entrances/exits to the play area. 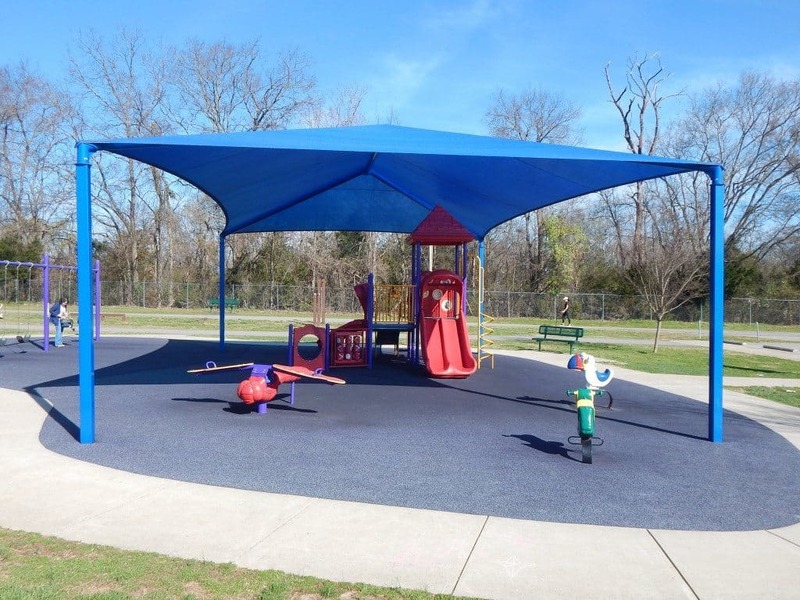 Within the playground, there is a covered pavilion and there is a small area of the playscape that is under cover, but for the most part there is little shade so be sure to bring your sunscreen and hats! There are also several large picnic shelters for lunch or a snack. Need a place for you little one to play? This park has you covered (literally). Safe for crawling with spongy mat floors, this area has swings and things to climb under a large shade tent. In addition to the great play area, there is a walking trail, tennis courts, volleyball courts, a basketball court and a skateboarding area. 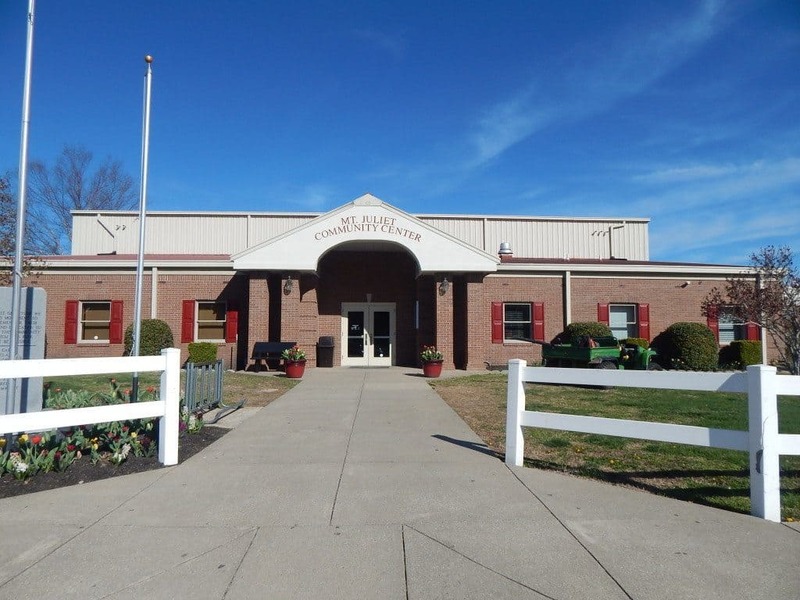 There is plenty of parking, and 2 large public restrooms by the ball fields and the playground. There is also a water fountain by the entrance to Planet Playground. As a bonus the park offers FREE WiFi! In addition to all the great outdoor facilities, Charlie Daniels’ Park is also home to the Mt Juliet Recreation Center. Inside you will find a weight and exercise room, a full sized gym and a multi-purpose room with a kitchen available to rent. You can purchase a monthly or annual membership or pay the small day use fee to use the exercise equipment and gym. The Recreation center also offers classes and camps. Check out the Mt Juliet Parks and Recreation website for current offerings.